Fire crews were called to the street at 22:30 GMT on Wednesday, where they found a hole measuring about 20m (66ft) by 10m (33ft). 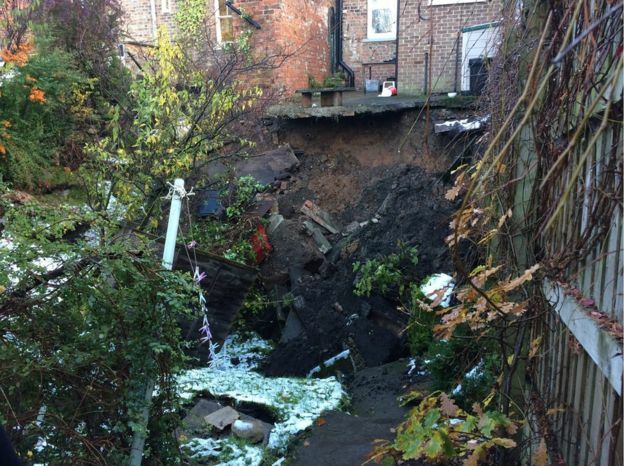 The hole appeared in the back gardens of two homes on Magdalen’s Road, Ripon. 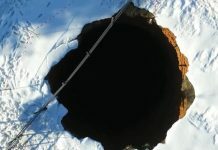 It is estimated to be about 9m (30ft) deep. No injuries have been reported. 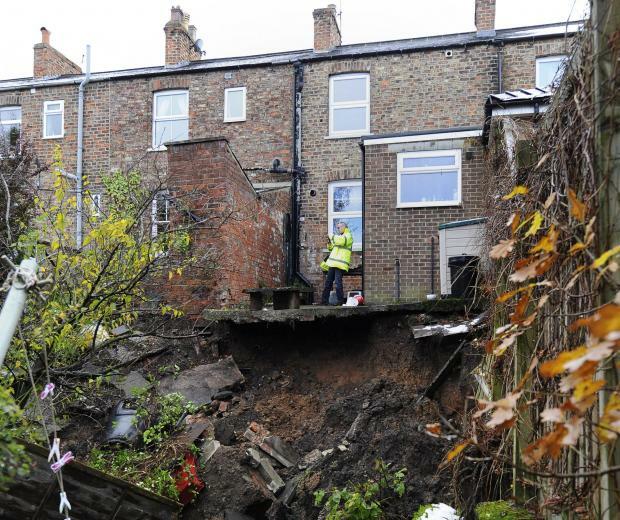 But the houses are likely to be structurally unsafe for some time. 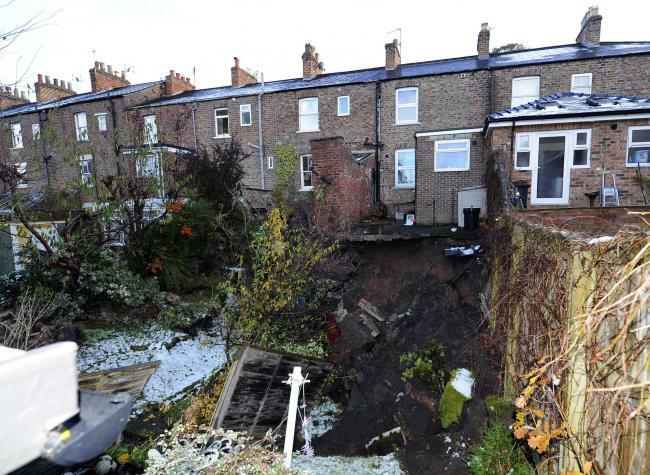 Residents of four of the affected homes would not be able to return to their properties any time soon. Some may even be officially homeless. 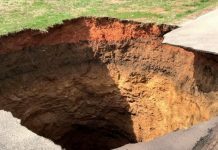 The British Geological Survey said Ripon lies in one of the most prone areas of the UK for sinkholes because of its “Permian gypsum deposits”, which can dissolve more quickly than surrounding limestone. 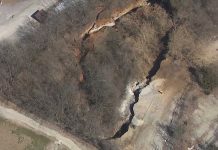 So, it’s not the first time a sinkhole opens up there… Although this particular sinkhole does appear to be quite enormous.